Our lead attorney is Joe Klenofsky. 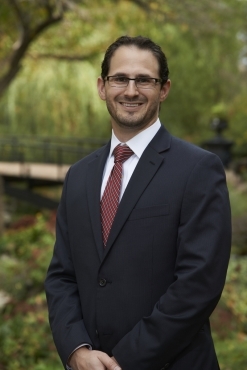 After receiving his education and law degree, Joe went on to found Klenofsky Law Firm in St. Louis, Missouri. As a Kansas City personal injury lawyer, he focuses his practice on protecting individuals hurt in serious accidents, including car accidents, workplace accidents, trucking accidents, and nursing home negligence. Klenofsky Law Firm also represents clients in wrongful death and catastrophic injury cases. Thomas M. Cooley Law School in Michigan, J.D. Attorney Klenofsky has successfully handled many trials in Missouri, including trials in the U.S. District Court Eastern District and the Missouri Court of Appeals Eastern District. His cases have been published in Missouri Lawyer's Weekly. In his free time, he is committed to giving back to his community as a member of the Missouri Trial Lawyers Care Committee, which hosts regular service events. He also donates time to the MLR OPEN, dedicated to financially serving young women diagnosed with breast cancer. Attorney Klenofsky is proud to be listed in Martindale-Hubbell®, Avvo, and Justia. I like taking on the big bad insurance companies. I have always found it rewarding to stand up for regular everyday people and even the playing field for them against the insurance companies. When left to their own devices, insurance companies treat people very unfairly. My goal is to eliminate that unfairness for my injured clients. What makes Klenofsky Law Firm different from other law firms? Several things set me apart from the competition. First, I actually file lawsuits when necessary and litigate and try cases. Many personal injury firms either have no experience in real litigation or in the courtroom. Second, I maintain a close relationship with my clients and make myself completely available to them. There is a reason why our clients' reviews of our firm are so positive. It's because we are honest, knowledgeable, available, and get results. Formulate a game plan. I personally do this for every case. Practicing law is like playing chess. I have a plan and know what moves I plan on making from the beginning. Of course, as cases go on sometimes the game plan must change and we have no problem making creative moves down the road as well. It’s simple…we carefully analyze each case and execute the game plan to get our clients to high ground and experience success. I put my heart and soul into every case I am hired for. Big or small, my clients and their personal injury cases are #1 to me. A recent case involved a young child bitten by a dog on the face which severely disfigured him. We not only focused on getting that child compensated, but we also assisted with arranging plastic surgery exams and revision surgeries so that the child had the best possible physical outcome as well as financial outcome. What do you enjoy most about being a personal injury attorney? I have enjoyed the relationships I have made over the years with my clients. Many of my clients will call to check in from time to time or just call to say hello. The most gratifying part of my job is having a former client think enough of me and my firm to refer a family member or friend. I strive to reach that point with all of my clients.